Acupuncture and other stress reduction techniques can help women ovulate better. Recent studies have demonstrated that acupuncture may assist with infertility. I offer acupuncture treatment for egg collection (EC) and embryo transfers (ET) to give patients the greatest chance of becoming pregnant. 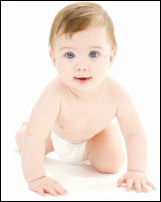 I also offer acupuncture services for treatment prior to an IVF cycle. TCM can increase success rate of IVF in varying degrees. The significance of this influence will depend on the treatment protocol, point selection and manipulations. Correct treatment can provide the best conditions for effective results. 2 - 3 months before ovarian stimulation the patient should start acupuncture once a week. This treatment can balance hormone levels and create a more receptive environment in the womb for conception. During this period of treatment some of patients might get pregnant naturally. During the ovarian stimulation acupuncture and herbs should be used to reduce the side effects caused by IVF drugs, improve response to hormonal stimulation. One acupuncture session at an hour before EC, to alleviate the tension and pain during EC. Two sessions of acupuncture about an hour before and after ET. Calm the uterus to prepare for implantation. During pregnancy, acupuncture once a week until week 12 in order to maintain the pregnancy and prevent miscarriage. Treatment with acupuncture could be likened to the use of Western medical drugs: if used incorrectly, they will be ineffectual. For instance, if an antibiotic were taken by the patient in a much lesser dose or finished earlier than directed, the drug may not have the desired therapeutic effect. The same can be said of acupuncture treatment.